In most cases, you won't have to worry about the effect on your credit score if you frequently return items. Your credit score is made up of clearly defined items, and none of them specifically reference frequent returns. However, certain components of the score can fluctuate over the short term. If small changes in your score are important to you – for example if you're planning a new home purchase – monitoring your returns can help avoid problems. Since there's not a specific credit score component for returns, returning items does not have a direct impact on your credit score. There could be minor fluctuations due to changes in your credit balance or utilization, though. You FICO credit score, which is the industry-standard model, consists of five components. The largest single component of a FICO score is payment history, followed in importance by amounts owed, length of credit history, new credit and types of credit used. While all components have various sub-categories, none of them are directly tied into how often you make returns. Your total credit balance, which falls under the category of amounts owed in the FICO model, comprises 30 percent of your total credit score. If you return an item, it doesn't remain on your credit card and won't usually affect your credit score. However, the timing of your return may actually have an effect. Credit card companies typically report customer balances to the credit reporting agencies on a monthly basis. The amount of your purchase may be included in your amounts owed if you don't make your return before your creditor reports your balance. Frequent returning can actually help you avoid this problem since you're more likely to make the return before your creditor reports your balance. Your credit utilization is also part of the 30 percent of your credit score defined by amounts owed. Credit utilization is the percentage of your available credit that you're actually using at any given time. For example, if you have a credit card with a $10,000 limit and a $4,000 balance, your credit utilization on that card is 40 percent. Typically, a higher credit utilization translates to a lower credit score. If you run up huge balances on your credit cards, you'll have a high credit utilization until your returns are processed. Any delay in returning items can therefore lower your score, at least temporarily. As with your total credit balance, frequent returns can actually help your score if they lower your reported credit utilization. If you open a new credit card every time you shop at a different store, you could damage your credit score, even if you make returns. Although new accounts only make up 10 percent of your overall credit score, every time you make a credit inquiry – which you do every time you apply for a new store card – your score will take a hit. New accounts also lower the length of your credit history, which makes up an even larger 15 percent of your score. Combined, your new inquiries could hurt 25 percent of your FICO score. Returns will have no effect on this portion of your score, regardless of when you make them. 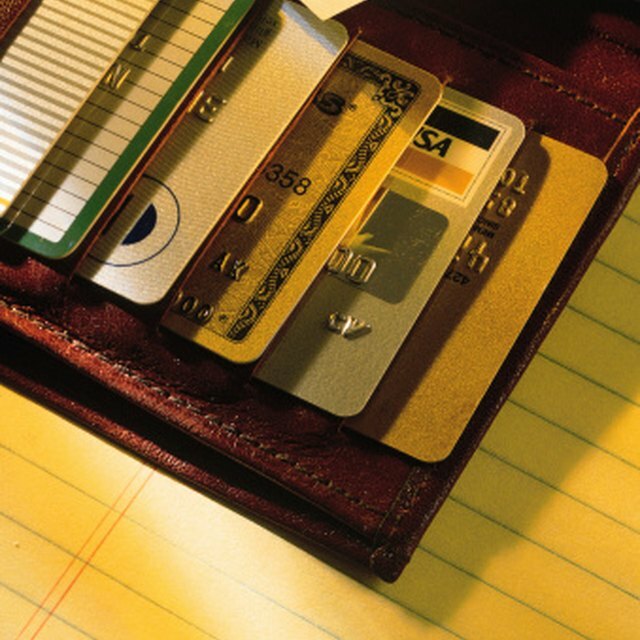 Only time can help diminish the effect of new credit inquiries.